This Got Freedom? Olive Drab Green T Shirt is 100% cotton. 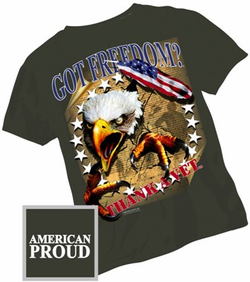 This high-quality t-shirt has a unique design that will please any veteran, active service member, or friend of the military. This shirt's qquality is guaranteed.